Make those alien themed or halloween soaps with this perfect ghoulish colour. 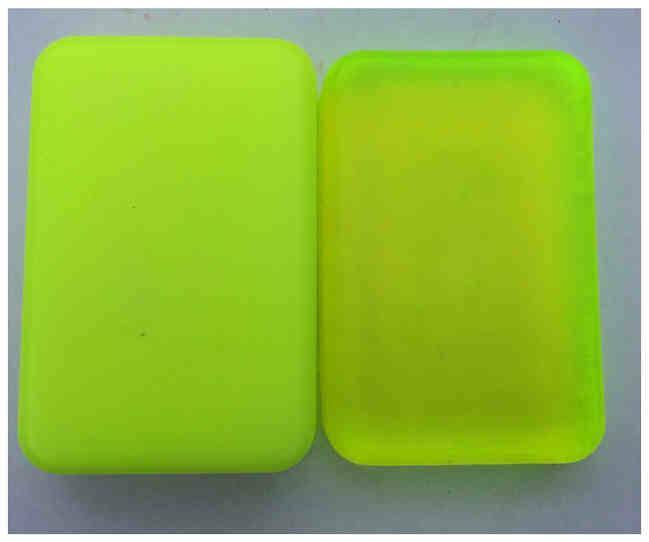 We love this fantastically bright green which is indeed fluorescent and reminds us of aliens, UFOs and outer space. In clear soap it looks fluorescent but not quite glow in the dark. In opaque bases, it is extremely bright and gives a good solid colour.